A voltage regulator circuit, or a AC to DC converter, is needed to convert a DC voltage supply, one that is fixed over time, such as a battery, to another DC voltage. To convert a 110 AC power source (alternating current like the outlets in the wall) into a 5V DC power source, the circuit would be an AC-DC converter. For example: say there are 2 types of batteries connected in a series to act as voltage sources – a 9V battery and two 1.5V batteries that are to act as a 3V source. But different circuits in your project require different voltage sources, so you may not be able to directly hook the battery to the power circuits. In this example, one component is designed to function with a constant 5V source. This means you will have to convert the 9V battery into a 5V source. A voltage regulator circuit can make this conversion. 9V battery – The 9V battery is a rectangular prism shape with rounded edges and a polarized snap connector on the top. Resistor – This is a passive two-terminal electrical component used to present electrical resistance. Diode – This component has an asymmetric transfer feature, with one low (preferably zero) resistance to current flow in one direction, and high (preferably infinite) resistance in the other. Transistor – This is a semiconductor used to amplify and switch electronic signals and power. Capacitor – This is the component that stores the electrons. You need to be extremely careful. If you accidentally interchange the base and collector the transistor will be destroyed immediately. Another thing that could potentially cause a problem is that the capacitor is electrolytic – this means it can only tolerate voltages applied in one direction. The capacitor will be destroyed if the voltages are reversed. Before you attach the 9V battery, all points in the circuit are at ground (0V). To understand how the voltage regulator circuit works, first consider how it operates without the capacitor. With the switch in the “off” position, a voltage is put on the Zener diode through R14. (A Zener diode is a unique type of diode that allows the current to flow forward the same way as an ideal diode, but can also allow it to flow in reverse when the voltage is higher than a certain value known as the breakdown voltage. It was named after the physicist who discovered this phenomenon, Clarence Zener. The device is commonly used to provide a reference point for voltage regulators, or to protect other semiconductors from momentary voltage pulses). R14 is used so the Zener diode will be in the reverse breakdown mode. As a result, the voltage will be held at a constant 5.6V all across the diode. The 5.6V in this example is also maintained along the transistor and load resistor base emitter junction in the series. Because the voltage is greater than 0.7V, the diode at the base emitter is biased towards the front and the current flows into the base of the transistor. This means that as long as the Zener diode is in reverse mode and the base emitter is biased to the front, the voltage across the resistor will be fixed at 5.6 – 0.7 = 4.9V. To understand how the circuit is able to always hold the voltage around a constant 5V, consider the flow of the current in the circuit. As the current flows through R14, it splits between the base emitter diode and the Zener diode. If Ib is the current flowing into the the base, a current equal to ßIb will flow from the battery into the collector. Because the transistor is set to function in the forward mode, a current equal to (ß + 1) Ib will flow out of the emitter and pass through the load resistor. If there is a change in the load resistor, then the current flowing through the Zener diode will change as well, so that the base current and the emitter current can maintain the correct value to put out the required 5V all across the load resistor. Since the capacitor is the component in the circuit capable of storing the electrical charge, it is used in this example to help maintain the output of the voltage regulator at a constant rate over time. The voltage change rate across a capacitor is proportionate to the amount of current flowing from it, divided by the amount of electricity it is able to store. Therefore, the bigger the capacitor, the less of a voltage output change there will be over time for a fixed current drain. The size of the voltage regulator circuit you built will depend on the amount of voltage output you require for your project. 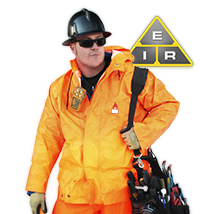 Discover more Electrician Jobs and Information today!